If knowledge is power, then what's a secret? 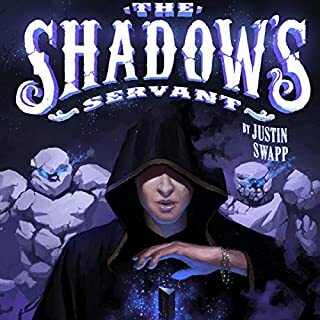 A year after thwarting the Kabbahl's attempt to restore shadow magic, the impetuous Marcus Fith, denied the opportunity to help his family search for his sister, decides to take matters into his own hands. When the only meaningful clue his family has seen mysteriously shows up - a letter addressed to him... written in his own blood - Marcus escapes in order to work out the set of expiring instructions that promise to lead him to his sister. Promises are slippery things, however. This was a really good story, but for some reason, it did not hold my attention as well as the first book in the series. I think it is a little darker (which isn't a bad thing). The narration of the audiobook is great, and the narrator does so many different voices to give life to the characters. There were a lot of good twists and new information brought to light. I listened to this one with my kids, and it seemed to hold their attention for the most part, though it is quite a long book. Overall, a good book. I would listen to more books in the series as they come out. I think this might be my favorite book in the series so far. There were so many twists that I did not see coming. It really kept me on the edge of my seat throughout the entire book. I liked getting to know more of Millie's background. Though the subject matter of this book was a little difficult for me to read, it held my attention and kept me engaged. Stylist Marla Shore goes undercover in a hair-brained scheme to catch a killer in her latest South Florida adventure. In a story braided with unexpected twists and curls, she takes on a role as nurse's aide for wealthy Miriam Pearl. 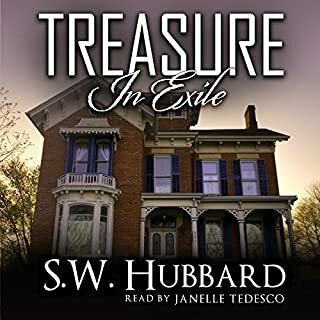 While Marla snoops into the elderly matriarch's affairs, her boyfriend Detective Dalton Vail is afraid that the only affair she'll snag is with her ex-spouse Stan. Juggling work at her salon, crime solving, and two amorously inclined males, Marla fights a race against time to save Stan before the dashing detective nails him for murder. 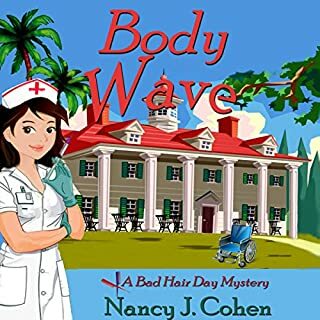 I enjoyed this fourth book in the Bad Hair Day series. I find Marla's character charming, but I agree with some other readers that she reads older than she is supposed to be, but that doesn't take away any from my enjoyment. I would have thought that Marla was in her 40-50's, as well as the detective that she is romantically involved with. I enjoy reading about Marla's description of things, as it relates to hair - I've never been too concerned with my hair, but I enjoy the different perspective. This book has some interesting characters, such as Miriam Pearl. I enjoyed watching her "blossom" under Marla's care. 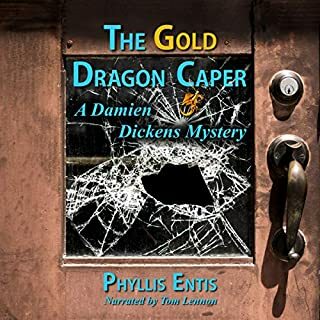 I listened to the Audible audio version of this book, and I enjoyed the narration. The book offers mystery, romance, and humor. I really enjoy this series, and look forward to the next one. On her way to a martial arts convention, Danielle Kane's plane crashes on an island in the Bermuda Triangle with cities trapped in time. She is furious to learn that on this island teetering on the brink of civil war, women are chattel. The 16th-century Spaniards want to lock her in a tower. The 14th- century pirates want to enslave her. The Inca Indians would worship her as a god. The World War II soldiers aren't sure what to make of her. None of them are ready for a modern woman. I thought this was an entertaining book, though probably not one I would read again. I enjoyed seeing a strong female lead character, and I was touched (and affected, though I won't give spoilers) by her relationship with Morgan. What made me give a three-star rating instead of a four-star rating was the narration. I found a lot of the mispronunciations of certain words or forms of words distracting. For instance, the word "bow" was used in the books as in "to bend from one's waist," but the narrator pronounced it as in "to tie a bow." There were several instances like that that I took away from my enjoyment of the book. But overall, it is an entertaining story. Great book. I can't wait for the next one. I absolutely love this series, and this latest book is no exception. The book is written incredibly well and is gripping to the last moment. I love the different characters and find that they are so well-developed. I get upset when I finish books in this series because it means I need to wait for a new one to be written. The narrator for the audiobook is incredible, too. She uses such distinctive voices for each character and really brings the story to life. I highly recommend this book (and the rest in the series) for any lover of mysteries. Peighton Claiborne's perfect world is built on perfectly crafted lies. When the sudden death of her husband destroys everything she worked so hard to create, Peighton finds herself struggling to cope. As the police begin digging into the mysterious death, they uncover secrets her husband had spent years trying to keep buried. The people Peighton believed she could count on, and the ones she needs more than ever, begin to turn on her, leaving Peighton to pick up the remaining pieces of her life alone. I really enjoyed this book. It kept me engaged and guessing. I did not see the plot twists coming. I thought it was well-written and well-narrated (the audiobook). I will definitely be checking out more books by this author. Joe Warren, an unemployed electrical engineer, has a terminally ill girlfriend and a bank account bumping rock bottom. Jobs are scarce in 2050, since nanotechnology has created the ability to animate the recently deceased, who are put to work performing menial labor at low wages. These Revivants have glutted the job market, leaving their living counterparts out in the cold. Joe goes looking for a helping hand and mistakenly gets arrested with a group of freedom fighters. I thought this was a solid sci-fi book, and it had kind of an interesting take/twist on zombies. The book held my attention the whole way through. 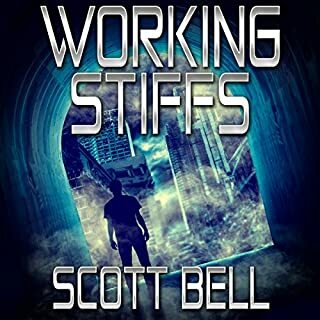 I've enjoyed other books by Scott Bell, and I think this one may be one of my favorites by him. I listened to the narration by J. Scott Bennett, and enjoyed his narration immensely. He always brings a lot to the story and enables me to picture the story perfectly. When a woman is found dead on her doorsteps—shot through the heart with an arrow—Clint Wolf and Susan Wilson go to work trying to track down the sadistic killer. 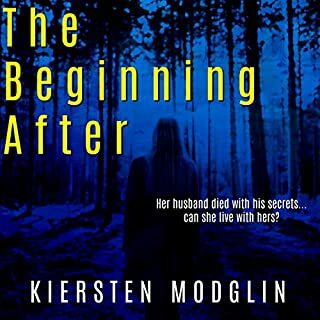 On the very next day, a second victim is murdered in his driveway (killed in the same manner) and it's now a race against time to uncover the motive behind the killings and identify the murderer. This was a great book. I thought the idea of using an archer was interesting. This book really keeps the reader hooked and engaged throughout. I enjoyed the suspense and mystery. This is shaping up to be a great series. 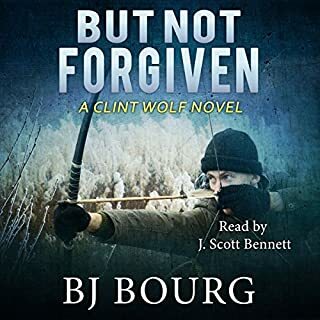 I listened to the audiobook narrated by J. Scott Bennett, and he is one of my favorite narrators. He really brings the characters to life. 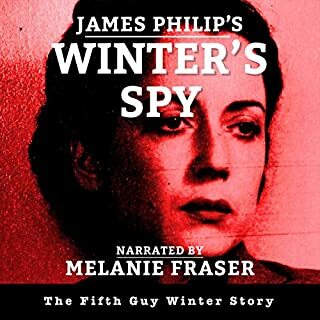 In Winter's Spy, the Mystery Man is under arrest, suspected of having been an enemy agent for his whole career in the Metropolitan Police and throughout all his years working for MI5. Dammed by the evidence of a German spy whom he encountered in Paris before the war, it seems as if he must literally fight for his life. Then, transported to Camp 020, MI5’s South London interrogation center, and confronted by his accuser, the Mystery Man begins to suspect that nothing is quite what it seemed. This was probably my favorite Guy Winter book in the series so far. I felt like I was able to get a better grasp of the characters and their relationships in this book. Everything seems to be coming together from the previous books in the series. The atmosphere in this book is really rich, and you definitely get a feel for WW2 England. I listened to the Audible audiobook narrated by Melanie Fraser. Her narration is excellent - she is probably one of the best narrators I've listened to. Her voice and tone have such great range. She really brings the story to life. 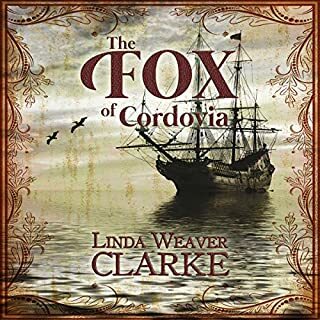 In this swashbuckling romance, a sinister plot has just been uncovered, and its up to a former patriot and a young nurse to discover who is behind it. Caroline is engaged to the future mayor of Laketown, a man of influence and greatly respected. But all that changes when she overhears a conspiracy behind closed doors. After being discovered, she runs for her life. Caroline needs to report her findings, but whom can she trust? When she asks Jesse Conover for help, the adventure begins. I enjoyed this third book in the Rebel Series. I would rate it 3.5 out of 5, and am, therefore, rounding up to 4 stars. This wasn't my favorite book in the series (Book #2 holds that honor), but it was entertaining nonetheless. I feel like there was more potential for this one that wasn't utilized somehow. There are still lots of adventure and interesting situations, as well as interesting characters. I loved to hate Caroline's fiancee, and I loved Caroline and Jesee. 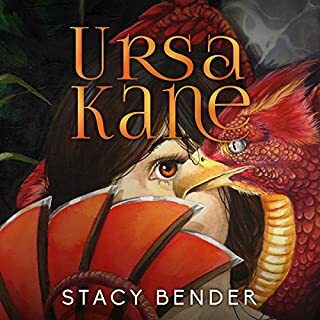 I listened to the Audible audio version of this book and the narrator did a good job. I had a complaint that she sounded a little robotic in the earlier books, but I didn't notice it as much in this one. Maybe she got more comfortable with the characters. Overall, if you like clean romance, this, as well as the other books in the series, are a good choice.